Special ~ One Time Design. 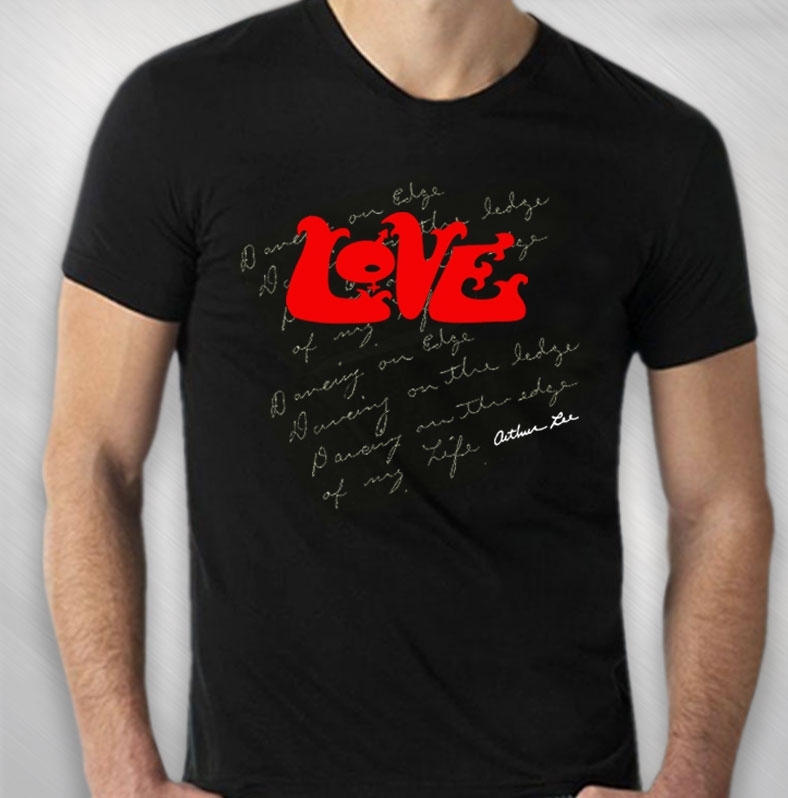 The words written behind the LOVE logo are some of Arthur's handwritten lyrics from a song he didn't get to finish. These are Unisex sizing which means they are larger than ladies sizing but still not too large. 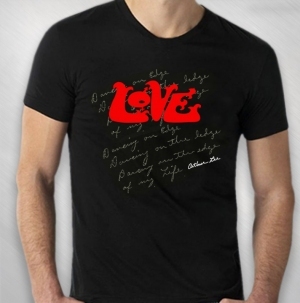 Made in Los Angeles, CA by American Apparel of 100 % cotton and are a little thicker than the previous organic cotton Tee's & the fabric does not have as much stretch as the previous organic fabric.